The condition of our golf course is holding up quite well particularly after experiencing another extended dry spell up during 2018. For the 2nd year in a row we received much less than our average rainfall with only 555mm measured in our rain gauge for the year. Although we have been able to manage our precious water storage levels over the drier periods our irrigating of our course maybe restricted to tees, greens and surrounds only unless the weather breaks and we get lucky with some of those passing summer storms. We have recently commissioned our onsite bore adjacent our 18th fairway and thus far is producing some promising flow rates that should yield and discharge approximately 30 mega litres per year. Along with our storm water harvesting project hopefully not too far down the track we may be in a position to drought proof our course and facilities at Duntryleague. Our greens staff have completed applications of fungicide spraying to combat against plant disease during the dry and humid conditions. Spraying for our pesky tenant “the black beetle” has been completed in an endeavor to kill off the sub soil larvae and minimise any damage to our turf root system. Treatments to our greens collars has been undertaken to control kikuyu infiltration to our greens with some re-turfing being completed to small die off areas to some of our greens surrounds. The Autumn greens renovations are scheduled to commence on the 18th Feb to complete this imperative task to ensure our greens remain in good condition all year round. There will be some interruption to competition golf over the 2 days to finish this important task of solid tying, fertilising and top dressing the green surfaces. The dry summer conditions have also impacted on our trees across the golf course with many succumbing to age and depleted root systems. When any windy condition prevails our trees are susceptible to damage and with some of our traditional trees under stress and it is unfortunate that the damage occurs. A big thank you to our many volunteers who assist in removing the tree debris from or course. The re-turfing of the 8th and 7th tees have been met with mixed success with our 8th tee to receive further intervention to produce an acceptable tee surface. 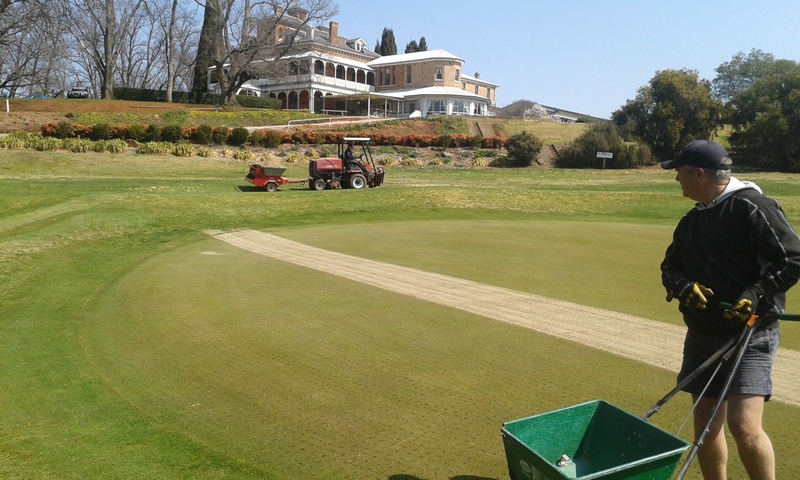 Further tee leveling projects include the red tee box on the 12th hole and the white tee boxes on the 17th and 18th holes. A new cart path is also to be constructed to the RHS and to the rear of the 17th hole with some collection turf mounding to be shaped on the current worn cart areas. Our course staff remain concerned with members not adhering to the cart traffic restrictions around our greens and again request for members to refrain from passing within the blue line areas around our greens. Our greens surrounds have improved dramatically over the past year with these restrictions and although the majority of cart using members do comply with the restrictions some members unfortunately continue to have disregard to the restrictions. On a final note golfers are not always doing a good job when raking their footprints and sand divot areas when playing from a bunker. If you can rake over any imperfections left in the bunker after you play your shot this would certainly assist any following golfers from enduring a poor lie particularly if it was the result a player in a previous group in not raking the bunker. Also please leave rakes outside the bunkers or alternatively place flat in the base of the bunker. Rakes being left “half in and half out” of the bunkers impact on play and can contribute to following players being greeted with a downhill lie in the bunker when stopped in motion by the rake. 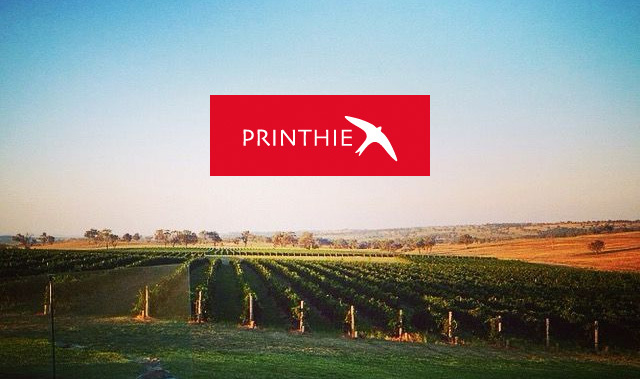 Steeped in history, Duntryleague is one of the regions premier venues and is regarded by many as the most elegant landmark in Orange, NSW. 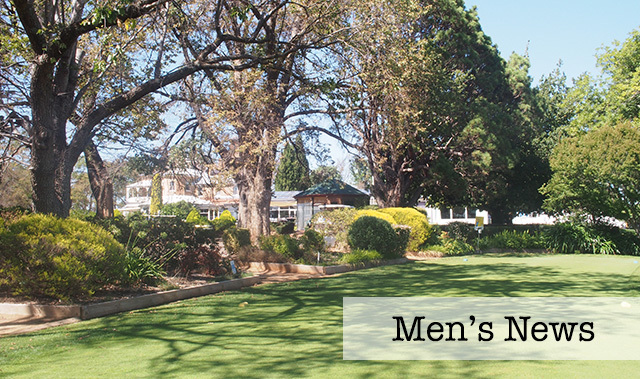 Nestled on the picturesque grounds of a championship 18 hole golf course and adorned with stylish gardens, the mansion is the perfect destination for your golfing experience or wedding. Subscribe to our mailing list to stay up to date with what’s on at Duntryleague. We’ll send you 2 emails a month – one for our social happenings, one for our Pro Shop. We will never share your details and you can unsubscribe at any time. I give my consent to Duntryleague Golf Club to use images (photography) featuring my child (but not identifying them by name) in any form or medium for general marketing and promotional activities. I understand that the personal information collected on this form is used for the purpose of processing my request for participation in the Duntryleague Junior Golf Program for 2019. Duntryleague Golf Club may also use this information to send you golf related information or offers. I hereby authorise Duntryleague Golf Club or its nominated representative to make such arrangements as deemed necessary by the attending medical practitioner In the event of emergency medical treatment being necessary In respect of my child. RSVP to "How to Build an Effective Golf Course Swing"
To enter the Duntryleague 2019 Food Week Plate you must agree to the Conditions of Entry and Conditions of Play. Entry to competitions in this tournament is open to any playing member of a golf club affiliated with Golf Australia. Entries close 4th April 2019. Entries will be limited to the first 180 players. The organising Committee reserves the right to refuse any entry. Entry fees will not be refunded after the 5th April 2019. The tournament draw will be displayed on Duntryleague website on or before Monday 9th April 2018. Events shall be played in accordance with the rules of golf in conjunction with local rules. Match committee reserves the right to alter the conditions of play if necessary. The maximum handicaps for Men & Ladies will be 36 & 45 respectively. 54 hole event: Players will compete for the duration of the tournament on the handicap current on the first day of play. To be eligible to win the ‘Major Prize’ you must purchase the full package. No player will be eligible to win more than one daily trophy & one major trophy, except nearest the pins. In the event of ties in the three day tournament the Golf Australia count back system will apply. Match Committee decisions will be final. Players are eligible to use motorised carts, bikes or the like during the course of play, however players may not take up the use of motorised carts after the commencement of play. 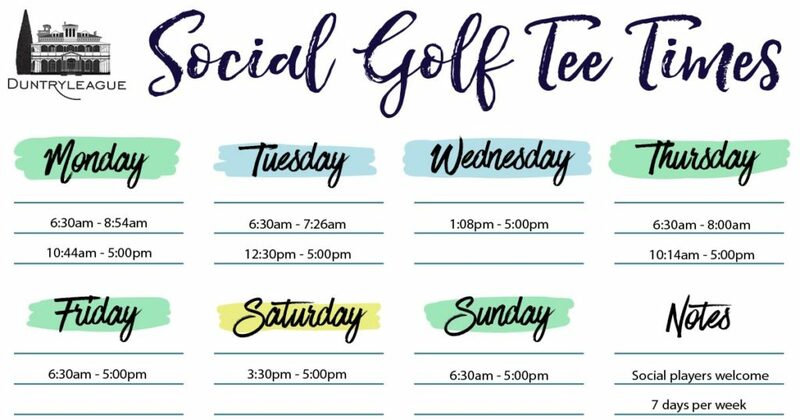 All visiting golfers will be made Social Members of Duntryleague during the F.O.O.D Week Plate 2019. Please call Duntryleague reception on (02) 6362 3466 to check availability. Be sure to let them know you are playing in the Food Week Plate to secure the special Food Week Plate Accommodation Package rate. Your entry is not confirmed until payment has been made.